In Portugal, field blends were historically very common. But that started to change when Portugal entered the European Union in 1986. Not only did the quality of wine production increase, but the grape varieties were identified. As winemaking has evolved and modernized, many winemakers began to plant each variety separately, allowing each one to ripen at its own pace. The grapes are fermented separately and then the winemaker can blend the percentages he or she desires, controlling the final result. And, more and more, field blends are becoming rarer and rarer. 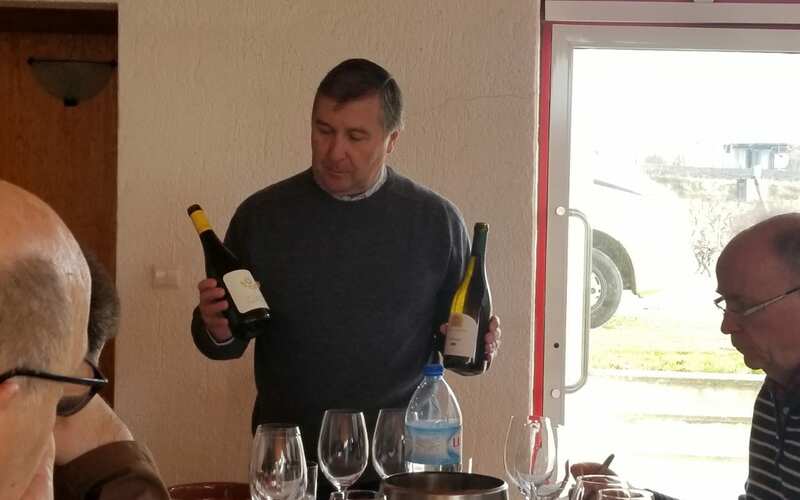 One of the first producers in the Dão region to focus on varietal wines is Luis Lourenço of Quinta dos Roques and Quinta das Maias. 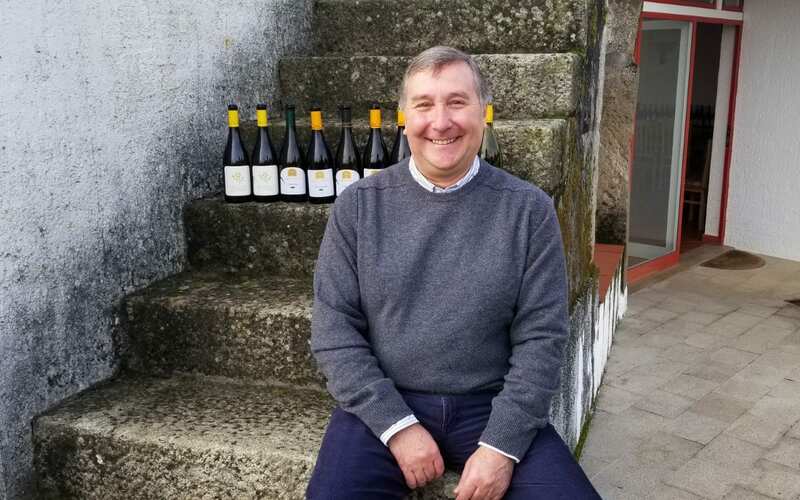 Lourenço was a math teacher but left his career to make wine on the family property. The family’s first property, Quinta dos Roques, was planted in the 1970s and is a 35-hectare property. The family purchased a second property, 25-hectare Quintas das Maias, in the late 1990s. 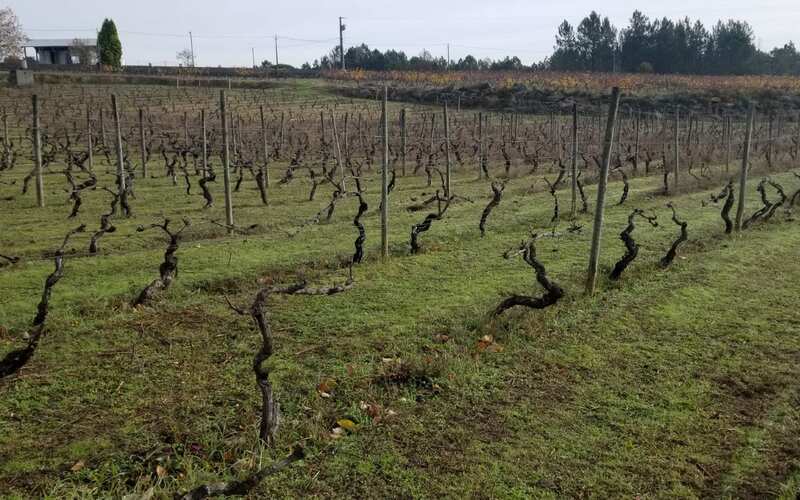 From the beginning, the family chose to work only with indigenous varieties and Lourenço began making single varietal wines to understand each varietal’s individual characteristics. Lourenço’s understanding of each varietal he grows was beneficial to a Portuguese grape novice such as me. As he brought out his wines for us to taste, he provided a few descriptors as to what each grape might bright to a finished wine. While understanding the individual varieties assists in crafting the blend, he is showcasing each grape variety with single-varietal wines. 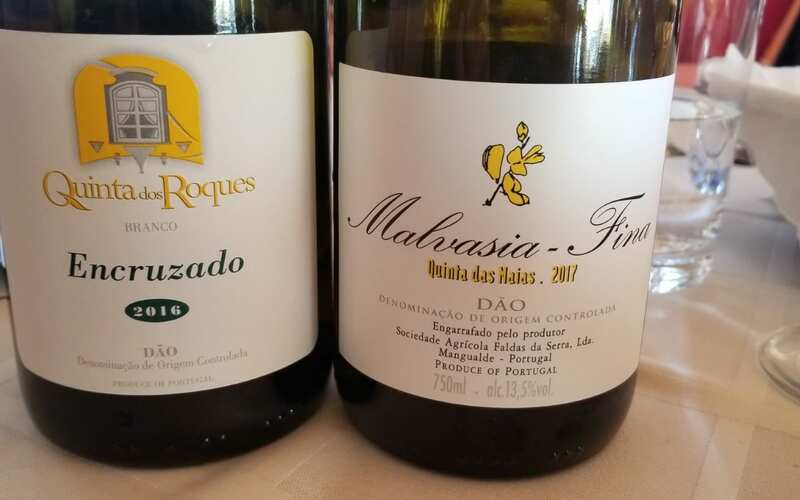 Quinta da Maias Malvasia Finca 2017 – A single- varietal wine, it is stainless steel fermented with technical battonage and stirred by nitrogen. It is zippy on the palate, with bright white floral and citrus notes. Quinta does Roques Encruzado 2016 – The single- varietal white wine is partially fermented in French oak for seven months. The wine has light floral and citrus aromas, a creamy texture and a mineral finish. It is a more structured wine that has the potential to age. Quinta dos Rocques Touriga Nacional 2016 – This full-bodied red wine has aromas of violets, blackberry and pine needles and finishes with soft grainy tannins. Quinta da Maias Jaen 2016 – A delicious red wine aged for 10 months in neutral oak, the wine has a fruity nose with notes of sour cherry. On the palate it is fresh and fruity with soft tannins. Quinta dos Roques 2014 Alfrocheiro – Another fruity red wine, this wine has fresh strawberry aromas with bright drying tannins and a tart finish. In addition to the single-variety wines, Luis knows each grape and how to use them when blending. He is making two white blends and two red blends, one under each label. 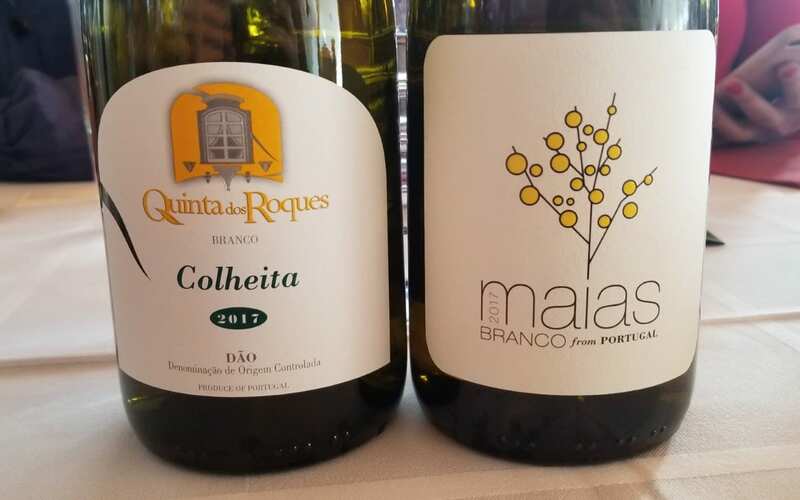 Quinta da Maias Branco 2017 – This white blend is made up of 40 percent Malvasia Fina blended with Cerceal, Gouveio and Encruzado. It is dry and crisp with floral aromas and a saline finish. 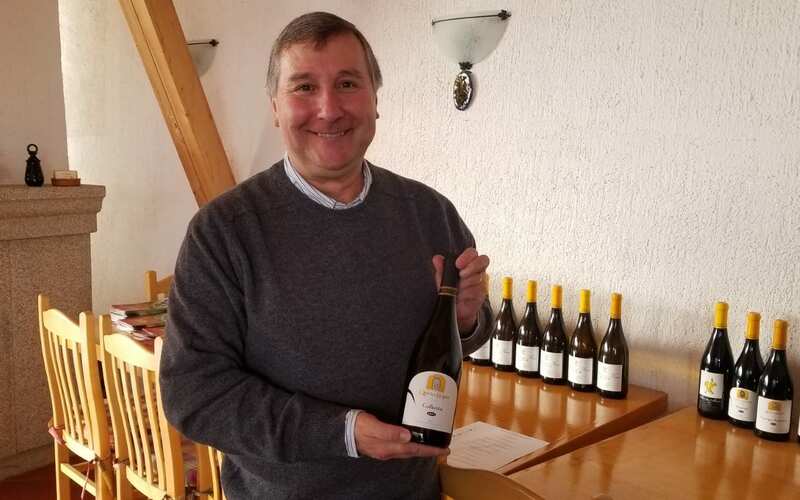 Quinta dos Roques Branco 2017 – A white blend made with 40 percent Encruzado, as well as some Malvasia Fina, Bical, Cerceal and Gouveio, the wine is fresh with citrus and apple notes and a more intense body. Quinta da Maias Tinto 2015 – A red blend consisting of 60 percent Jaen, as well as Touriga Nacional, Alfrocheiro and Tinta Roriz, the wine has aromas of black raspberry, herbal menthol and violets. There is full mouth acidity on the palate and sandy tannins that coat the tongue. 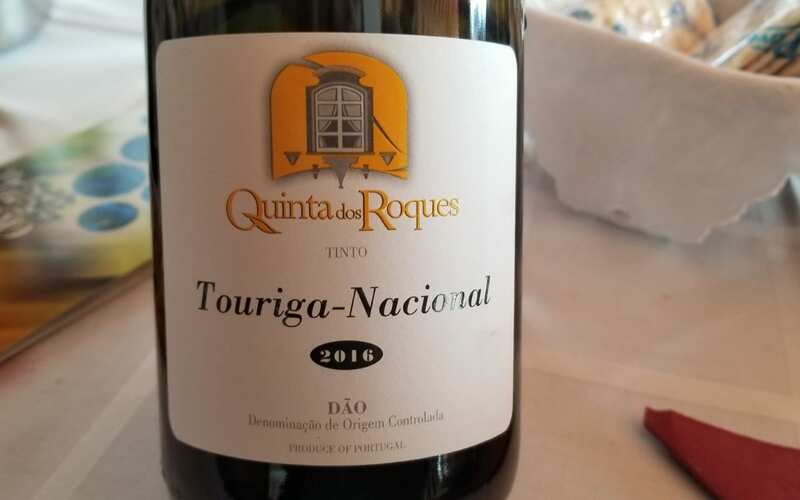 Quinta dos Roques Tinto 2016 – A red blend of 50 percent Touriga Nacional with Jaen, Alfrocheiro, Tinta Roriz and a touch of Tinto Cao, the wine has aromas of wild cherry, dark black fruit. On the palate, the wine has medium acidity and grainy tannins with a meaty, savory finish. 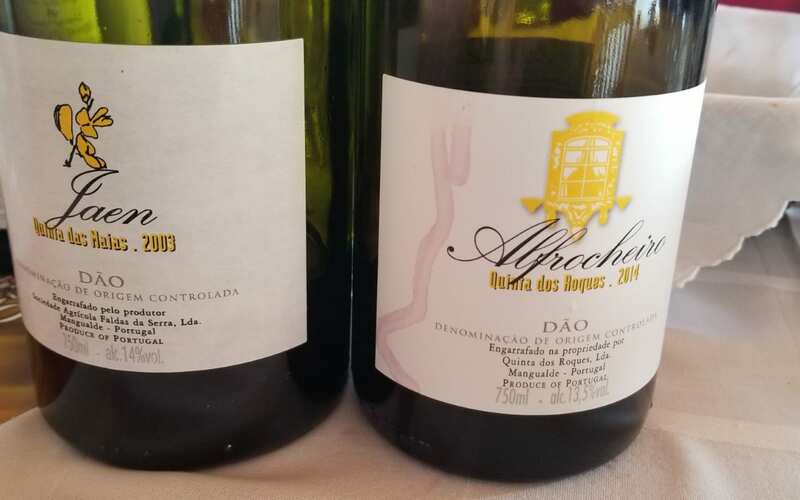 Sitting down with Luis and breaking down each of the varieties prominent in the Dão was useful in understanding what each grape contributes to the finished wine. But, separating the varieties also introduced me to three new grapes that I am now quite a fan of – Encruzado, Jaen and Alfrocheiro. This entry was posted in Travel, Wine and tagged alfrocheiro, Dao, Dao wine, Dao Wine Region, encruzado, field blends, indigenous varieties, jaen, Luis Lourenço, Malvasia Fina, Napa Valley Register, Portugal, Portuguese Wine, Quinta das Maias, Quinta dos Roques, single varietal wines, Touriga Nacional by Allison Levine.